They came to see us, and to let his dad get some work done on his dissertation so he could get it finished. So I didn't get a whole lot of writing done while they were here. Partly because the first week they were here, my parents, sisters, brother, spouses, some nephews and a niece came to visit, and stayed in a beach house out on the west end of the island. We had to visit them as much as we could. He had a few adventures with Dolly the granddog. 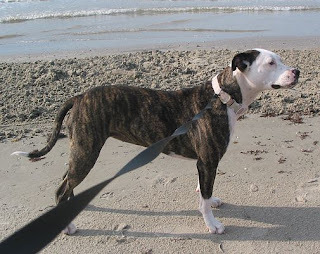 She's a pretty frisky, playful dog--she's about 3 years old, and still has lots of energy, especially when meeting new people. Which scared the little guy. But it was too hot to be playful for very long, and she quickly learned that if she moved--if she even looked at him, he would run away. 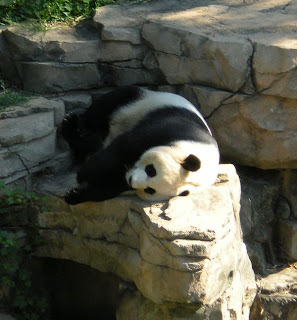 So she would just lie there in the shade and let him come to her. And I am writing. Really! I am honestly in awe. I not only love what this blogger said, I love how she said it. I never knew that was what I wrote--but I guess I did. I remember doing it. Anyway, go forth and read it if you are so inclined. It's at Tempting Persephone. 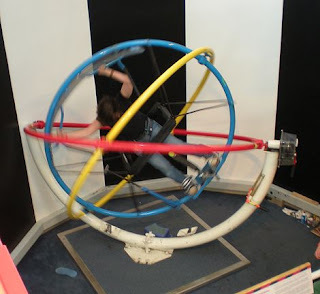 Oh, and the picture--it's blurry because the gyroscope was moving, under the muscle power of my darling daughter who got to try it for the first time because grandparents were at the museum to chase the doodlebug (aka the middle grandboy) instead of her. I missed the "when she was upside down" shot. Oh well. I have other pictures, but I think if I insert them without taking up some of the space with text before I put the next picture in, they will try to overlap or something. So I shall blather on about nothing--or whatever I can think of--until I can put up another picture. I am now on my hiatus from the dayjob to work on the book. Am I writing? Well, not RIGHT this second. 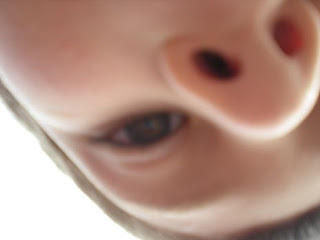 I'm putting stuff in the blog. But I did work on it this morning. I got all my cover pictures up at the website. I'm not sure when I'll be posting my excerpt--probably in October--but that's not too far off. And I always post it to the newsletter folks first, so you know, if you want to read the excerpt, make sure you're signed up for the newsletter. Now for picture #2. My older son and his boys were here when I got home from D.C. and stayed for a week. 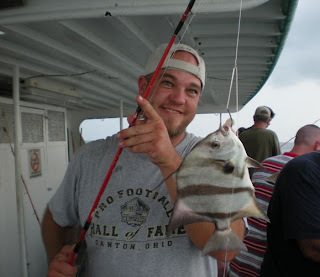 They went out in the gulf to fish, and caught angelfish. I think I told you, but here's the proof--the Big Guy with his angelfish. They're striped when you eat them too, and they're darn good eating. The guys have been doing a lot of fishing lately. Earlier--at spring break, I think--they went out on a long boat trip and caught a bunch of vermilion snapper. 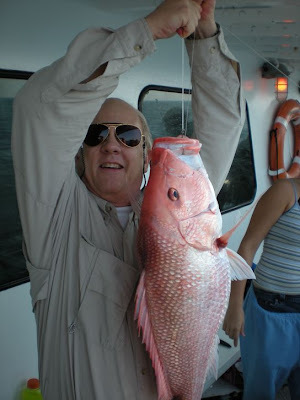 The fella caught a HUGE red snapper, but had to throw it back because it was too big. Or maybe too small. I don't remember. I do remember he had to throw it back. but not after he got a picture of it! And I did have one last picture I wanted to share with you. I don't look so hot in it, but my friend Rosemary is the star of the picture, because look at the pretty statue she's holding. 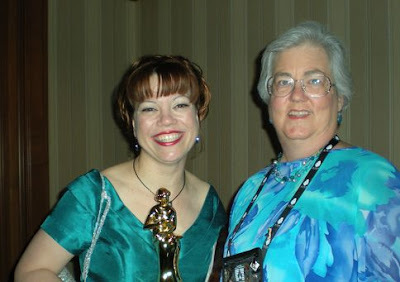 Yes, Rosemary Clement-Moore won the RITA award for Best Young Adult Novel at the RWA National Conference awards ceremony. She even let me rub RITA's head for luck. I think she hand-carried her home to Dallas, for fear her feather pen would break off.